Mutual support groups are often a first line of recommended treatment for addiction and work very well during continuing care. Joining a support group offers plenty of benefits and have shown to increase your chances of recovery. Many rehabs and other addiction treatment providers encourage people to attend support groups after they leave treatment. Whether your addiction is mild or severe, joining a support group can make you feel less isolated and more encouraged on your road to recovery. In fact, studies have shown that group settings are incredibly beneficial, especially in addiction treatment. There are many different types of support groups, including ones for addiction, mental health issues, medical problems (e.g. cancer) and many more. Some are peer-run, solely by individuals who are battling the same problem. Others are professionally operated by a clinic or community organisations with trained therapists. Although most operate by face-to-face meetings, there are online or video-conference support groups as well. Unlike more intensive treatment programmes, support groups are much less time consuming. Most groups meet for an hour or two, once a week or more. It is, however, perfectly acceptable to attend several different support group sessions if you feel that once a week is not enough. Many groups, such as Alcoholics Anonymous or Narcotics Anonymous, are based on the 12-step approach. However, this is not the case for them all. Staying social is a large part of human interaction, and is known to improve one’s mental health. Not only will you feel less isolated after joining a support group, it may also improve your social skills after prolonged addiction/ mental health problems. Isolation can have a negative impact on your mental health and lower self-esteem. In turn, this may impact on your treatment. Because everyone in the group is going through the same problem, attendees are more likely to open up and be honest. A common complaint about addiction professionals is that they have never had to deal with the disease themselves. 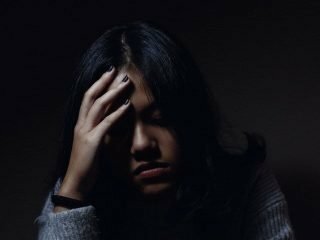 The professionals can still provide the necessary care, but those in treatment might claim difficulty in commincating with their doctor/ therapist. If you have someone you can relate to during treatment, it may make the process smoother. Support groups offer a judgement-free environment which helps people to feel comfortable and open up. Because these meetings are strict on confidentiality, you will probably be more likely to be honest about their problems. This can help you get a clearer view of your situation and gain valuable insight about yourself. Sharing your story in a support group helps others too, and this will make you feel better in return. This can increase your self-esteem by providing you with a natural sense of accomplishment. People learn a lot of helpful tips and general advice on how to deal with addiction from support groups. In addition, you can learn about further treatment options, the benefits and drawbacks, and hear others’ experiences with different treatments. 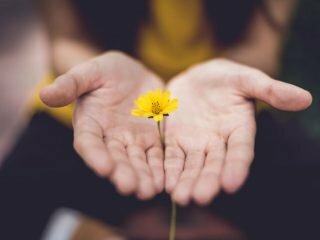 Educating yourself about addiction can empower and motivate you, and gives you a sense of control over your situation. Almost all peer-support groups, especially community-run ones, are free to attend. Most are self-supporting and ask for a small contribution to cover basic costs, but this is not essential. If you don’t have the funds for other types of addiction treatment, support groups may be your only option, and they are available in most towns and all cities across the UK. One of the ways that a support group can be most helpful is after a stay at a residential rehab. Many people will find that they need a more intensive form of treatment to kickstart recovery – but recovery is a lifelong commitment. Your treatment does not end once you leave rehab, and the important work you do at rehab will need to be reinforced afterwards. With a good continuing care/ aftercare plan, and a support group to help, you will give yourself the best chance at recovery post-treatment. Despite their advantages, there are numerous criticisms of mutual support groups, such as the setting and philosophy. One of the major complaints is that they do not offer all the necessary tools for recovery. Their success rate cannot compare with more intensive addiction treatments such as rehab, which may be necessary for some. Many people shy away from 12-step fellowships because they think they are religious. In most cases, this is not true. Fellowships such as AA or NA do not operate on religious grounds, and welcome people from all backgrounds and beliefs. There are also many poorly run support groups, where the lack of a supervising professional can lead to the spread of wrong advice. Privacy may be a concern for some, especially in small communities. For others, it can be difficult to find the right group where they fit in – eg because of age, race, job and more. 12 step therapy encourages people to share with others they don’t believe are like them though. Ultimately everyone is united in the same fight – against addiction. 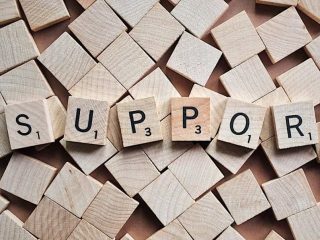 Of course, support groups can only provide group support or therapy and do not include detoxification, private counselling, complementary therapies or intensive treatment. Many people with serious addictions will need all of the above to achieve abstinence or enter recovery. This is especially true for people who suffer from an addiction that causes withdrawal symptoms, which should be supervised by an expert medical team to ensure safety. Withdrawing from alcohol by yourself can be dangerous, and even fatal. You may wish to come to rehab for your own health, which a support group can’t offer. You can find out about local support groups via the Internet, or by searching directories of community addiction organisations. Talk to Frank has an extensive list of support centres in the UK, as well as general information on substance misuse. You can also look up community services on the NHS directory. In addition, your GP, therapist or other doctor can direct you to appropriate resources, and guide you in choosing the right one. 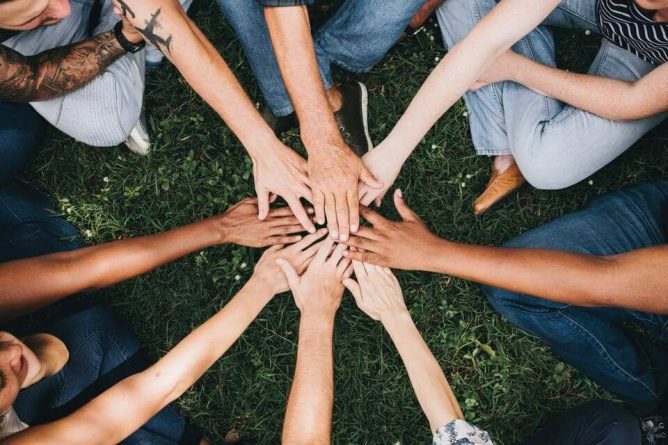 While mutual support groups can work as the sole addiction treatment for some people, they are best combined with one-to-one therapy and/or an individual treatment programme. Continued attendance of group and individual therapy simultaneously has shown to correlate with increased abstinence rates. Whether you choose to attend an open or closed group can make a difference as well. An open group is, quite literally, open to everyone, and people may come and go as they please. Closed groups are generally reserved for addicts only. The same group of people attend the same session for a period of several weeks in a row. Twelve-step closed groups are for addicts only but any addict is free to attend at any time. The benefit of open groups is flexibility, and the chance to start treatment right away. With closed groups, you may have to wait for the next session to attend. The benefit of some closed groups is that you have the same group of people, which provides a chance to bond with other members. This can make meetings more productive. Finding the right support group can take some trial and error. After looking up appropriate support groups in your area, you should consider which one suits you the best. If you do not feel comfortable after a meeting, it is a good idea to attend a few sessions before deciding that the group is not for you. At Castle Craig Hospital, patients are introduced to support groups and are particularly encouraged to attend 12-step meetings. This includes both during their stay and as part of their continuing recovery. If you think that you might be suffering from addiction, it is important to go to treatment at the right place to get your best chance at a successful recovery. If you have tried your local support groups, and need more help, give us a call. Castle Craig Hospital has over 30 years experience treating people with addiction. Its 12-step therapy based, fully medically managed treatment programme has helped many people find their way to recovery.